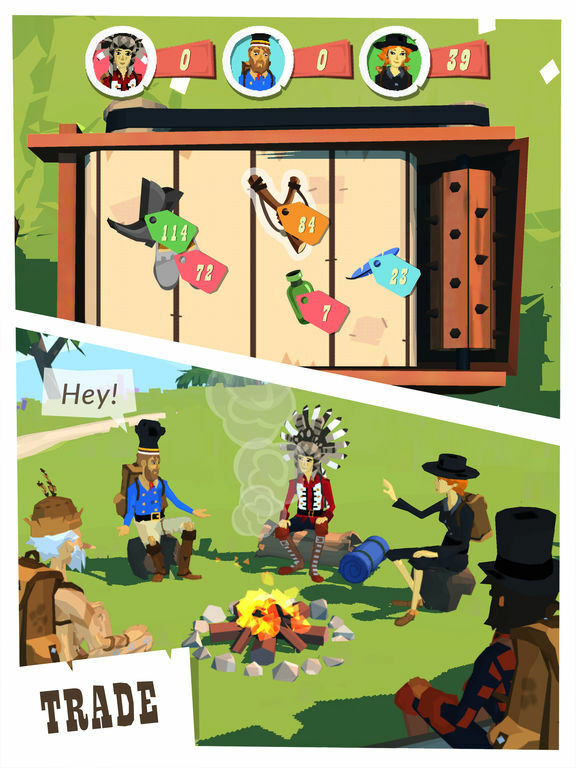 Virtually everything from the menus to the trading mechanic to the hiking feels unnecessarily slow and awkward. Swiping is about all you do in this game and it's not responsive. 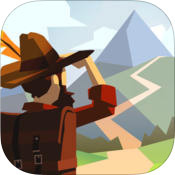 The Trail is a sort of hiking simulator, where it's your job to reach the Town of Eden Falls. By walking several kilometers and sometimes making yourself shoes out of rabbit scraps. In my travels I've yet to understand the appeal, but I have picked up a few tricks along the way. Resources are important for just about everything, and the best way to get them is to find them on the path. Look for anything with an aura around it. Anything you can pick up will have a soft glow around it - red for quest items, and a light blue for everything else. Don't get greedy. Your pack can only hold so much, and if you're looking for something specific you'll want to make sure you have space for it. It's okay to leave a few things behind. Tap and hold for details. If you can't figure out what an item is for whatever reason, tap and hold it to bring up a description. If you want to gather anything other than the most basic of resources, you're going to need to make some tools. Wearables help your hiker. Things like hats and shoes will allow your hiker to travel faster and/or longer. Tools give you more actions. Crafting tools such as axes or slingshots will allow you to do a few more things as you walk along the path, and will net you more advanced crafting materials. Be mindful of durability. Everything you craft can (and will) break when you use it for long enough. Keep an eye on how your gear is doing and make replacements as needed. Make it even if you don't need it. Everything you can put in your bag - equipment, materials, etc - can be traded at a camp for other beneficial things. 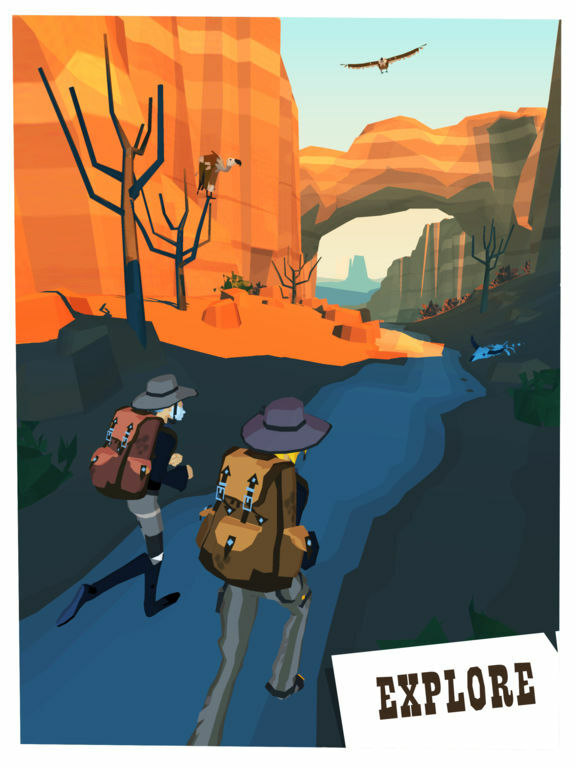 The Trail might sound like an interesting game full of frontier exploration and potential adventure, but it really isn't. It's mostly just a bunch of walking and the occasional grabbing of junk off the side of the road. If that interests you then cool, but there are so many other more compelling and entertaining mobile games available. I can't say I had high hopes for The Trail, honestly. It looked interesting, and that was enough to pique some mild curiosity, but I wasn't expecting it to blow me away or anything. Well, it certainly ended up being a surprise, but not the good kind. Walking Simulators (where walking is the primary, and sometimes sole mechanic) are a sort of joke genre that many use to describe games in a derogatory sense, although there are also plenty of folks who enjoy them. The Trail is sort of like that, except that you can only walk forward along a pre-defined path and there's not much else to do other than awkwardly try to grab stuff off the ground. To its credit, The Trail can be a pretty looking game. The cartoony visuals might not be to everybody's taste but there are some rather nice vistas to ogle as you meander your way towards the next checkpoint. That is, assuming you like that kind of thing. If you're less interested in taking in the sights and more into actually doing things, chances are you won't be swayed. It's the lack of directional control that really kills it for me. Were I free to wander, explore, and actually look for things I'd be far more compelled to keep playing. Instead, the only option is to walk ever-forward. Speed can be adjusted (of course there's stamina to consider) and the camera can be swung around and that's it. Being forced to walk this linear path makes sense from a thematic standpoint - I mean you're literally hiking on a trail - but from a gameplay perspective it's incredibly dull. On top of being dull, almost everything in The Trail also feels about as plodding as your hiker's leisurely pace. The act of looking for stuff to pick up is itself pretty uninteresting, there seem to be more menus and sub menus than are necessary (leading to awkward menu navigation), and the trading system where you and other players (at least I think they're other players) toss items onto a conveyor belt with a wood chipper at the end feels both too constricting due to the time limits and too slow due to everyone always waiting to the last second to toss items on. Even the crafting menu is obnoxiously slow, requiring you to drag individual items out of you bag and place them on the table, then wait for what feels like a few split seconds too long for the action lever to become useable. I mean come on, you have to wait just to start the crafting action, on top of then waiting for the crafting to finish (because freemium so of course there are timers). That's ridiculous. Worst of all, the only real gameplay mechanic on offer doesn't even work well. The most action you get to partake in while playing The Trail is tapping and dragging items you find into your bag. Items that are needed for crafting and/or trading. And yet, despite being the biggest gameplay focus the touch controls are aggravatingly imprecise. Get used to tapping and dragging the same object multiple times, because chances are it's not going to register properly. Whether it's on the trail itself, while crafting, or during trading, the game always seems to decide I'm trying to select something other than what I'm actually trying to select - or it thinks I'm not selecting anything at all. Seeing as there's less to this game than doodling in the margins of a notebook it's not a game-breaking issue, but it's yet another annoyance on top of everything else. I don't doubt that The Trail will appeal to some, even to the point of being enjoyable. However, I don't believe it's going to win over the masses with its lack of any sort of compelling content or interesting gameplay mechanics. It's boring, and I'd feel bad about saying if the game didn't care so little for its players' time.